This blog post is long overdue! 2017 has been an exceptionally busy year so far and I haven’t had a chance to stop and put a blog post together - let alone stay as active as I want on Facebook, Twitter, Instagram, Discord and various other threads on different forums. I’m sure many of you must be wondering what’s going on. Long story short, we are still here and are still 100% focused on creating new content and features for SNOW. But video game development is not easy and things can be easily delayed. For the sake of transparency I’m going to attempt to give you an in-depth look at what we’ve been up to for the last few months and how this has affected our release schedule. I will then provide you with an overview of what we’re planning for the rest of the year for SNOW. Please keep in mind that while I’m being as transparent as I can, nothing I write should be seen as a certainty. Dates might (and probably will) change, features might get delayed or even reworked, and some things might get cut entirely. When we launched on PlayStation 4 last year we launched without supporting the latest PlayStation 4 SDK. In order to get launch approval from Sony we promised them that we would upgrade to the latest version of the SDK before launching any ‘major’ updates in the future. At the time of the launch, we were using CRYENGINE 3.8 which didn’t support the new SDK. After the launch we were faced with two options – either upgrade the current engine with the new SDK ourselves, or upgrade to CRYENGINE V, which already supports the new SDK and includes a lot of new features and improvements that will positively affect SNOW down the line. We decided to go with the latter option and, starting in February, began integrating CRYENGINE V into SNOW. We expected this to take at most 8 weeks. Unfortunately, as it so often does, the upgrade took 50% longer than forecasted. With the programming team focused on the CRYENGINE V upgrade, this meant that the only updates that were possible were purely content-driven. 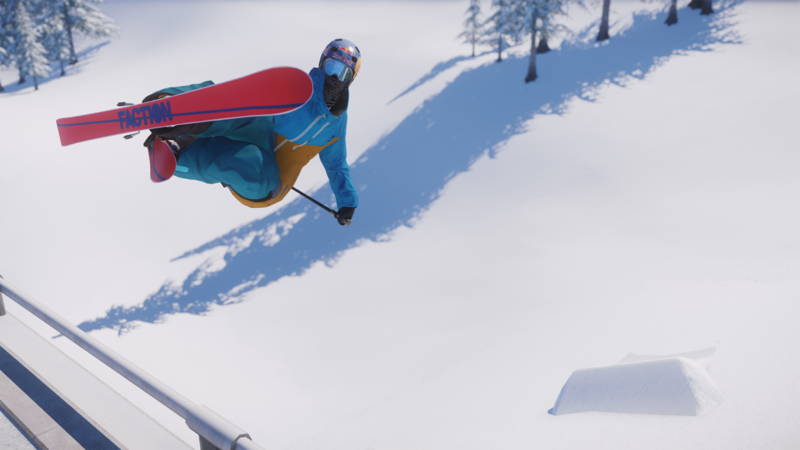 Since the beginning of the year we have launched 2 new updates that include new levels (X Games Aspen 2017 and X Games Norway 2017) and lots of new cosmetics from a bunch of our new brand partners like DC, Capita, and Von Zipper. We appreciate that many of you feel like we should be focusing on gameplay and feature updates instead. Unfortunately, as our engineering team had their hands full with the engine upgrade, this was not possible and we had to make do with the resources we had available. 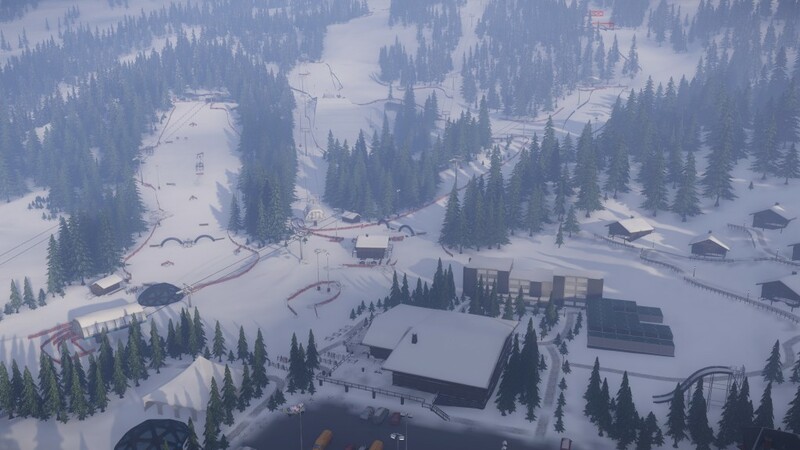 In the meantime I hope you enjoyed the two new X Games levels, played the slopestyle, big air and superpipe events, and unlocked the exclusive rewards. The good news is that the CRYENGINE V integration has been completed and we are in the process of fixing the last few bugs before preparing a public build for testing. We will be sharing the new build with a few core community members first to make sure it is stable, and then with the wider community through the SNOW Test app. 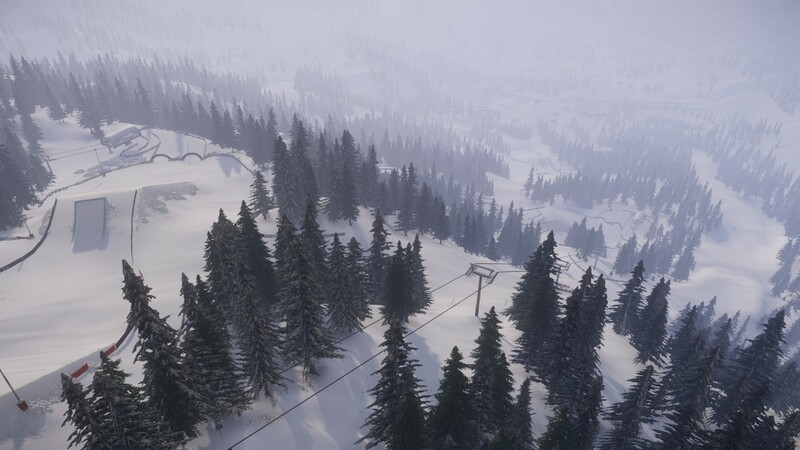 If you’d like to help test, join our Discord channel (discord.gg/SNOWthegame). This new version of SNOW will also ship with new dedicated servers, which we hope will fix the major issues that are currently plaguing the multiplayer experience. We are well aware that since our last update (M9) in December, the multiplayer servers have been unstable and (shamefully) buggy. Since we were in the middle of upgrading our engine to support the new PS4 SDK, we weren’t able to do much to fix the biggest issues. Now that the upgrade is over, we should be able to resolve the major issues and make the multiplayer experience more stable and enjoyable. Grinding is currently the weakest of the game’s core gameplay mechanics. It works, but there are some physics and gameplay issues that are holding it back from being reliable, predictable, and ultimately enjoyable. For this update we are investigating a few fixes and additional mechanics that will hopefully bring the grinding gameplay up to the same level as the rest of the game. Unfortunately I can’t go into detail explaining what we’re looking at as we will be experimenting a lot and seeing what works and achieves the desired result. We haven’t added any new music to SNOW since we initially added sound to the game in 2014. To remedy this, we’ve partnered with Toothfairy, a Norwegian record label and some other talented producers from around the world to bring over 50 new tracks to SNOW. 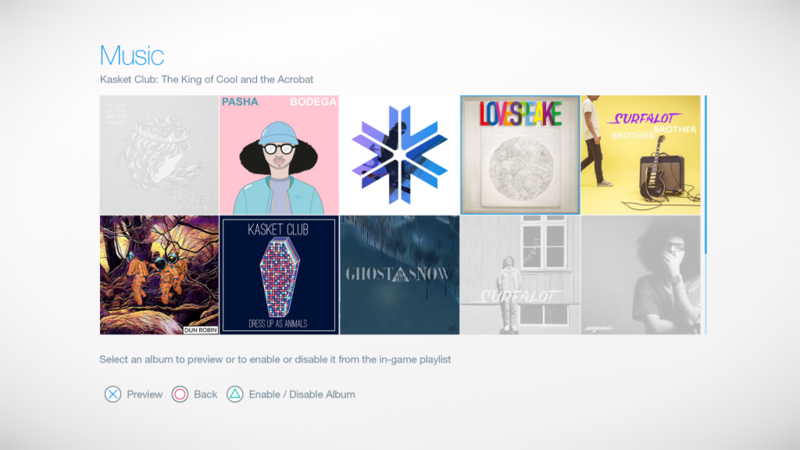 We’ve added music from many different genres and give you the ability to enable/disable albums through an in-game menu. We won’t share all the names of the artists yet, but here’s a teaser of what the menu will look like. We have decided to remove the Momentum Park tutorial area from Sialia and place it in its own level. This will allow players to load into the tutorial much quicker when first booting the game, and hopefully give a much better first impression of SNOW. The new level is called Tyro Valley and in addition to the tutorial course, the rest of the valley features other areas and environments to ride and explore. The tutorial walkthrough has also been redesigned in the hopes that this new version will teach you the controls of the game quicker. Here is how the level is shaping up. 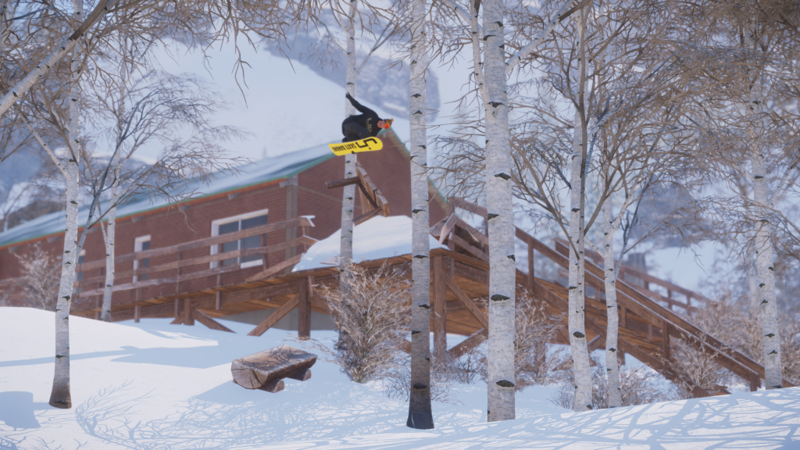 Eventually we will also rework the old tutorial area into a terrain park or something else. The next update will arrive after the summer. This update will be focused on multiplayer: tackling some of the major issues that hold back the experience from being great, while also adding an initial competitive element. Showdowns are one-on-one events that take place across Sialia on multiplayer servers. Players can challenge each other to a Showdown event and are then instantly teleported to a randomly selected starting line. Once the event begins both players must race or trick their way down to the finish line. The first player to cross the finish line ends the event. Scores are then compared and the winner is rewarded. We think this first step into multiplayer competitive gameplay will add a lot to the experience and hopefully give you a reason to spend more time online and meet/challenge other players. 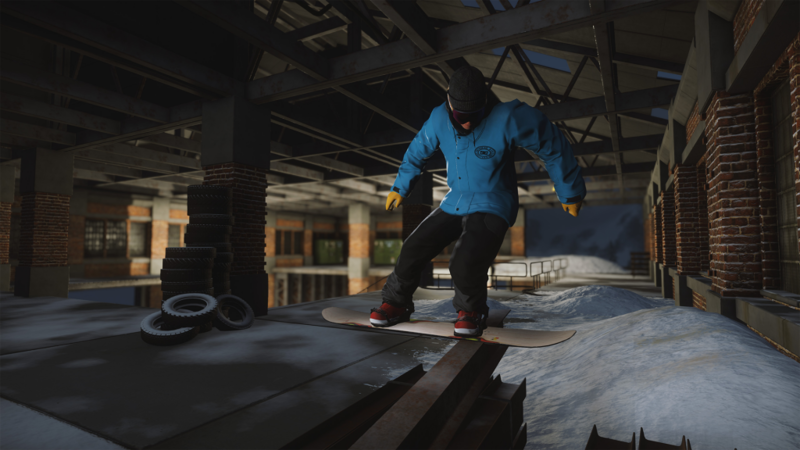 This update will also include the ability to take of your skis or snowboard and walk. This is a feature that many of you have asked for, and we’re excited to finally add it to the game. Simply stop riding and use the quick select menu to take off your skis or snowboard and enter walking mode. 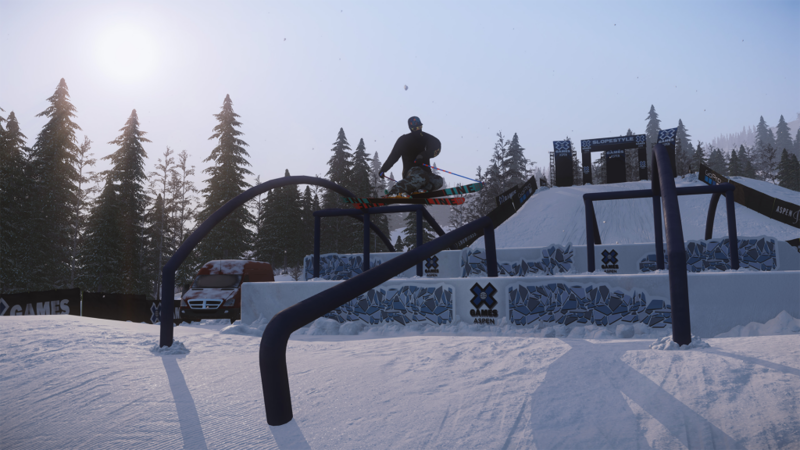 This feature will also be available in multiplayer, allowing you to easily hang out on the mountain and watch other players lap the park or session a backcountry kicker. Finally, in this update we hope to address some of the biggest and most noticeable issues in SNOW’s online experience. Primarily, this has to do with syncing player positions to the server, and interpolating them so that other players don’t ‘warp’ around while riding near you. We also want to re-implement ragdolling so that you can watch yourself crash and flail around in all of its wonder while riding with your friends. Enough with the gravestones! Between the next few updates and our launch of SNOW 1.0 we have a lot to do – both to improve the quality of the game, but also make the game a sustainable business. While SNOW has been successful so far, it does not currently generate enough monthly revenue to finance the game’s on-going development without the need of additional investments from our generous shareholders. For SNOW to continue growing, we need to improve the ‘business’ side of the game. To achieve this, we have planned a bunch of new features that we hope will improve our key metrics in 1.0. While we’re not ready to give finite details on what these features are, I can at least share some ideas we’ve discussed for this update. We see users falling into 3 main groups – those that enjoy simply exploring the world, those that compete in events and complete challenges, and those that are happy lapping the park or picking a single jump to session for a while. 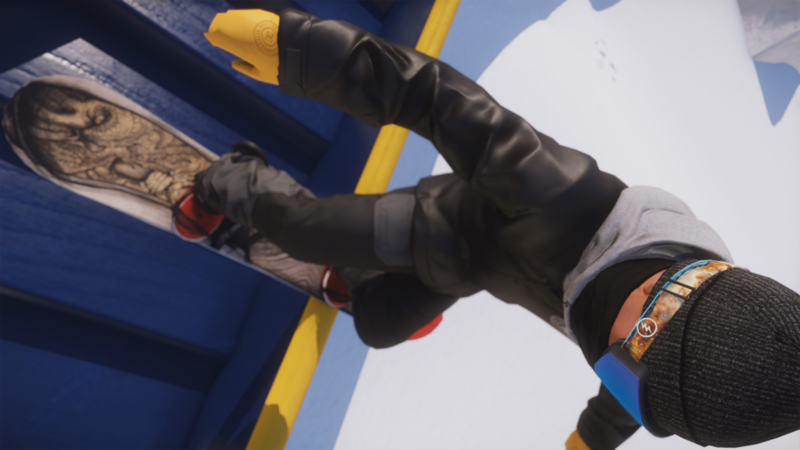 Since one of our underlying fundamentals when designing SNOW is to never get in the way of what the player wants to do, we want to create an overarching competitive element that everyone can take part in, without affecting their play style. 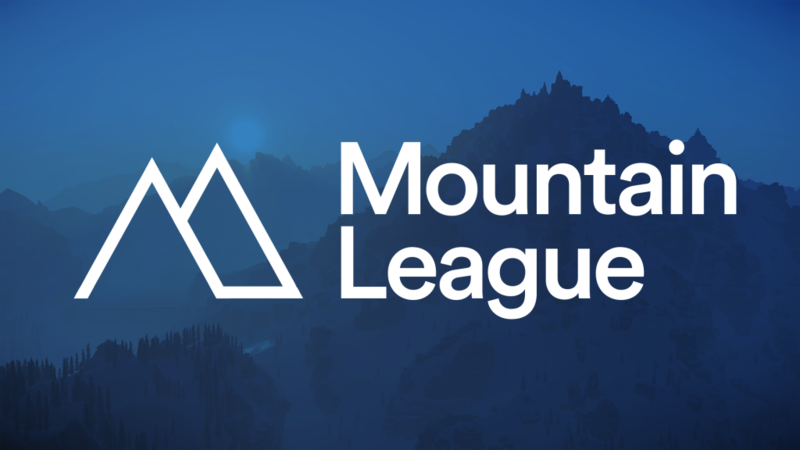 What we’ve come up with is the Mountain League that ranks players against each other based on your activity in-game. It works like this: once you reach Level 10 you will be automatically ranked into a division based on how many points you earn on average during your gameplay sessions. Then, as you continue playing and end sessions, finish events, complete challenges etc. you will influence your rank. Every week you will have a chance of being promoted into a higher division. Everyone’s division rank will be visible in multiplayer and at the end of each season (roughly 3 months) players in each division will receive a different reward. In addition to your level progression (which we are reviewing for this update as well), we are also adding a brand reputation system so that you can earn reputation with your favourite brands. To mimic real life athlete sponsorship, we wanted to create more of a connection between players and brands. The brand reputation system will track what equipment and clothing you are wearing when you end session and earn you reputation points towards those brands. As you earn reputation levels with brands, you will unlock rare and exclusive items from them. We think that the skill tree will allow players to better differentiate themselves from each other and provide another level of individualization on the mountain. 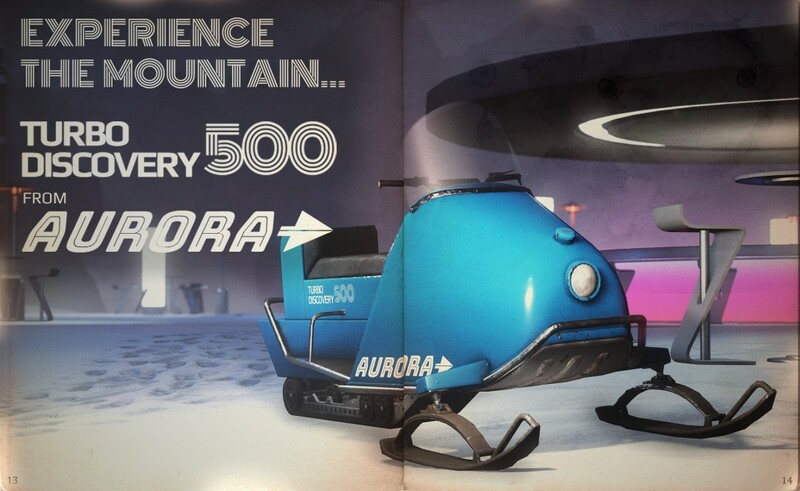 Both the drone and snowmobile were initially implemented with very simple physics and mechanics. These features have become core elements to gameplay, and tools that nearly all of you use to navigate and explore the mountain. Therefore, we want to go back and improve the features to make sure their gameplay is as authentic and fun as possible. Finally, I’m happy to say that we have started preparations to bring SNOW to the Xbox One this year. This is not an official announcement, but I wanted those of you with an Xbox One that have been patiently waiting to play SNOW to know that the wait is nearly over. SNOW 1.0 will be launched on PC, PS4 and Xbox One simultaneously as a free-to-play game. We can’t say when exactly 1.0 will launch, but we are doing everything we can to make sure it happens before the end of the year. The Xbox One version of SNOW will also include some exclusive outfits and content, but we’ll be making more official announcements about that and the actual launch at a much later date. So there you go – a pretty detailed look at what we’ve been up to so far this year, and what’s to come. Again, as I mentioned at the beginning of this post, all of these plans can change or shift, and features might get cut or added. As you’ve seen in the past, our updates can get delayed, so don’t get too hyped until we announce an actual date. Thank you all for your continued patience and feedback as we continue developing SNOW into the genre-defining game that we believe it has the potential to become. We are a small team with limited resources, but thanks to your support and feedback we have made it this far. We can’t wait to see how the game progresses with the next several updates.